It’s winter here in Charlotte, and that means colder temperature and precipitation ranging from rain to snow. Winter weather here in North Carolina can be unpredictable, but it can also cause big problems if you’re dealing with an old or damaged roof. Once you notice water dripping from your ceiling, the first thing you need to do is to protect your belongings that are located near the leak. Remove any décor from the walls, as water may make splash and ruin family photos or other items of sentimental value. Also, be sure to remove any electronics from the area to avoid permanent damage. As you work to protect your belongings, place a bucket to catch water as it falls to the floor. Can’t stand the sound of drip-drip-drip all day long? Place a piece of board inside the container so the water hits the board instead of accumulated water in the bucket. While this may sound counterproductive, the next step is to take a screwdriver and locate the center of the bulge where the water is coming from. 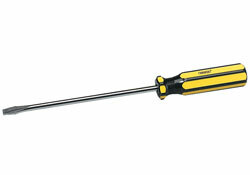 Next, puncture it with the tip of the screwdriver, which allows the water to drain and relieve pressure in your ceiling. The point of this is to prevent water pooling in your attic, which can cause your ceiling to collapse. While identifying the source of your leaky roof is important, it can also be a process. 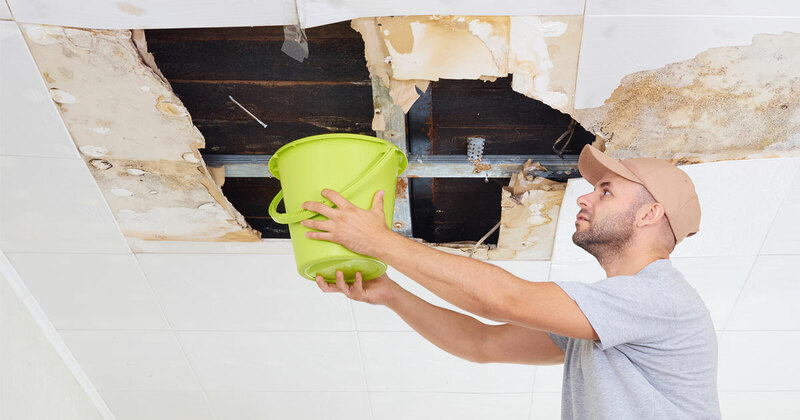 There are many reasons why your roof and ceiling may be leaking, including problems with pipe flashing, old moisture barriers on your roof, missing flashing, and even clogged gutters. If you aren’t sure where the leak is coming from, you’re better served to contact a roofing professional as quickly as possible. The longer that you let the leak go, the more damage that you’ll have to deal with in the aftermath. The other downside is that your homeowner’s insurance may or may not cover repairs for the leak or the damage in your home. It all depends on your insurance policy. While it’s easy to forget about your roof (and even your gutter system), you don’t want to allow these exterior components to be neglected. Even a few missing shingles can lead to a major leak in your ceiling—and it’s better to be safe and stay a step ahead of leaks this winter.